But hey, at least it's wireless. 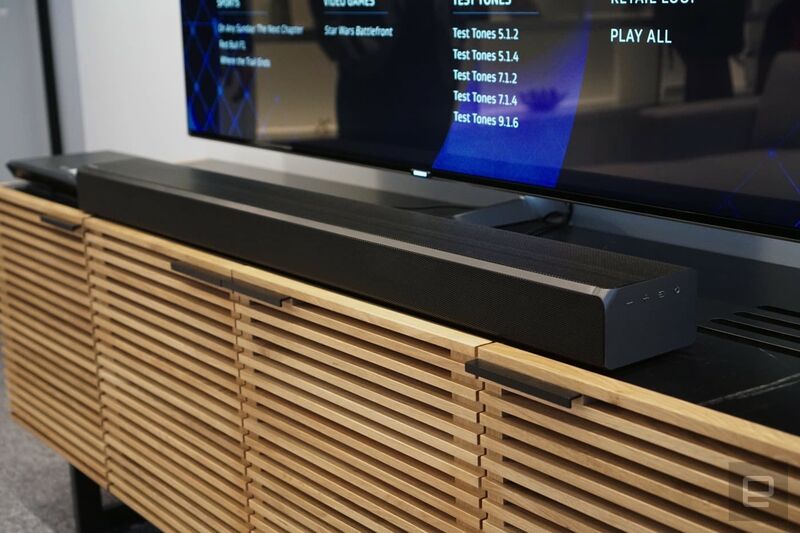 We were intrigued by Samsung's HW-K950 soundbar system back at CES, mainly because it promised to be a simple way to bring Dolby Atmos into your living room. Now we've got pricing details and, well, it sort of hurts. The new system will run you $1,499 when it lands this summer -- that includes the soundbar itself, two wireless satellites and a wireless sub. The soundbar and satellites all include upward-firing speakers, which bounce sound off your ceiling to simulate overhead Atmos effects. If that sounds too rich for your blood, there's also the HW-K50 system for $999 (update: a Samsung press release previously listed it at $899), which consists of a single Atmos-enabled soundbar and a wireless sub. That won't get you the full immersion you'd get with rear surround speakers, but it'd certainly be a step up from using TV speakers on their own. You can also upgrade later to full surround sound with two of Samsung's Radiant360 wireless speakers. While pricey, the HW-K950 did a decent job of delivering enveloping surround sound across several demos. The bass felt a bit too boomy for my tastes, but that could have just been an overzealous rep cranking the subwoofer up way too high. The soundbar system might also be ideal for people who want a home theater upgrade without running wires all over their living room.